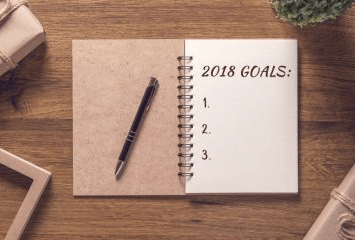 Have you been thinking of your resolutions for 2018? It's common for people to look for ways to live healthier and save more money in the New Year, but they might not know that their HVAC systems can help them do both! The following HVAC resolutions will help cut your expenses and make for a healthier home environment! Annual tune-ups can save you money in a number of different ways. By scheduling a tune-up for your air conditioner in the spring/summer and your furnace in the fall/winter, you can avoid costly breakdowns, lower your energy bills and extend the operating lives of your units. A dirty filter blocks your HVAC system’s airflow, which significantly increases operating costs. In addition, a dirty filter will not provide adequate protection for your furnace or air conditioner, which can lead to costly breakdowns and allow airborne contaminants to circulate throughout your home. Check your filter once a month to ensure your system is running at it's best. You can cut your heating and cooling costs by adjusting your thermostat during hours you are away. A programmable thermostat makes this simple because you can tell it what hours of the day and days of the week there is less of a demand for heating and cooling in your home and it will adjust your home’s temperatures accordingly. Most standard air filters are only capable of protecting your HVAC system from airborne contaminants; they do little to take care of the tiny particles in your air that affect the health of you and your family. By installing an air cleaner or air purifier in your HVAC system, you can remove nearly all of the harmful contaminants from your home’s air and allow your family to live and breathe healthier in 2018!